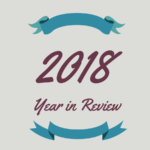 Another year has passed, and that means another year in review on what Texas Wine Lover (TWL) accomplished this year. 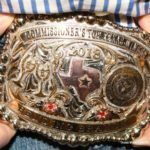 In some ways, I look at this coming March as the 7th year of Texas Wine Lover and say, “That’s it?” And then other ways, I look and go, “Wow, that has been a long time!” Regardless, the website is still here, and we’re pumping out more and more posts about the Texas wine industry every week. Trying to keep up with the number of wineries opening is getting difficult! But we have a team working hard to keep everybody apprised of everything happening in the Texas wine industry. 206 posts were written in 2017 so far. That averages to over four posts a week! But to do that required 21 writers. Yes, you read that right. There are a lot of dedicated Texas wine lovers, and one wine loving editor. Speaking of writers, we added two new contributing writers in 2017. Promising to be the only website that covers the entire state of Texas, Gina Kelly joined us from the High Plains and Shelly Wilfong from the Dallas area. We also had a number of guest writers who helped during the year, and some of those guest writers may become contributing writers too. With the increase of writers, we now have multiple writers doing reviews of Texas and non-Texas wines. Not everybody drinks just Texas wine, so we do reviews of non-Texas wines, and unfortunately, it is difficult getting Texas wines to review. Tell your favorite Texas winery to send samples for us to review to get the word out how great Texas wine is. Besides the usual Texas wine news, wineries, vineyards, events, etc. 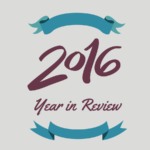 posts, we also had some nice feature articles throughout the year by multiple writers. In fact, at least one appeared in WineBusiness.com’s daily email. 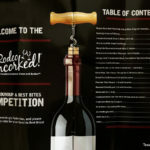 Texas Wine Lover continues to be the only website to bring you all the major wine competition results and filtering out only the Texas wineries. It helps to get firsthand knowledge how the competitions work, since in 2017 I was a judge at the Lone Star International Wine Competition, the Houston Rodeo Uncorked! International Wine Competition, and the Texas International Wine Competition. And I think I may be adding one more wine competition to the judging list next year. 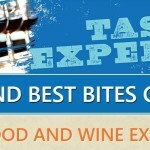 You can always find Texas wine festival listings on TWL. In fact, I have wineries waiting for the lists every year so they know where to go, and they also help to keep me updated with new festivals. Texas Wine Lover is still usually the first to review a new winery that opens, and with writers around the state, most of the time we do it faster than the past when Gloria and I visited a winery. We are still adding to the only searchable Texas vineyard list and right now we show 4,831 acres of Texas grapes being grown. I know I have a lot more data to enter and vineyards to contact to get data. Hopefully during the holidays, I will find time to enter more. Following the accolade of being one of the Best 100 Wine Blogs on the web, we learned later this year we were one of the Top 50 Texas Blogs and Websites on the web. 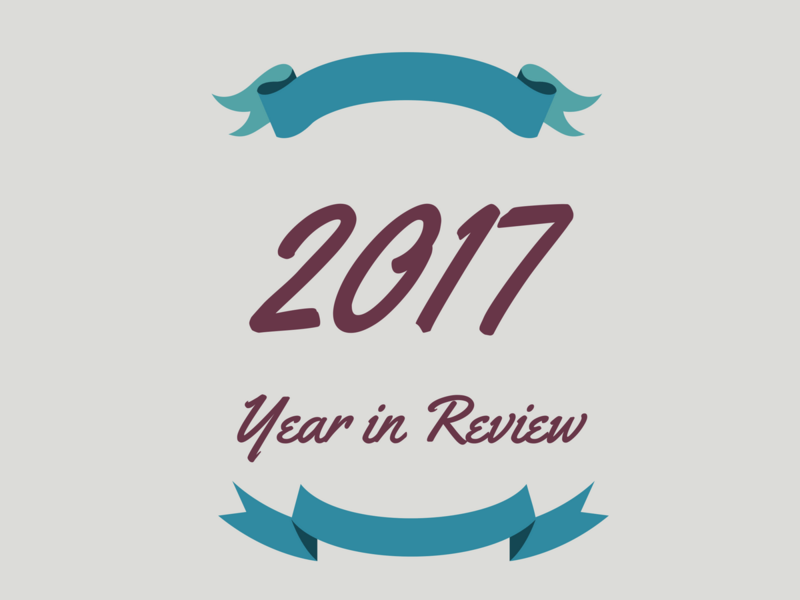 We welcomed new advertisers and affiliates in 2017 to help us continue to bring the best Texas wine news to you. We love showcasing the businesses who advertise on the website, because any revenue received helps pay for the expenses to run the website. Texas Wine Lover continued the monthly winemaker profile where a Texas winemaker answers ten simple questions. We are always looking for winemakers in the Texas Hill Country and the entire state of Texas, so please contact your favorite winemaker to become the featured monthly winemaker. Texas Wine Lover lapel pins continued selling well and were being distributed to Texas wine lovers all around the state. Remember to wear your pin, especially when visiting wineries so you can identify other Texas wine lovers! 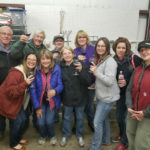 I was able to participate in a Texas writers’ media trip to Paso Robles because Texas is the number two buyer of Paso wines. I saw a lot of similarities between the growing Paso Robles area and the Texas wine industry, and I can proudly say the Texas wine industry is doing well! Social media numbers for Texas Wine Lover currently are as follows: 8,287 Likes (all organic) for our Facebook page, 650 members of the Facebook group, 4,390 Twitter followers, and 1,508 Instagram followers. Our email subscriber list has continually grown and this year we had to upgrade to the next higher email plan! If you cannot find a previous post easily, simply search for it on the website, or if it is not too old, go to the Archives to find it. With the success of Texas Wine Lover, more responsibilities are required to cover a lot of things involving marketing and social media, not to mention managing and finding things to sell on the website. If there is someone out there who would like to get involved because you love Texas wine, please contact me. We have some great ideas for showcasing Texas wine in 2018, so be sure to keep watching the website!